Additionally, Nile Rodgers along with many orchestras are offering free concert tickets for those affected by the shutdown. Amid the government shutdown, many celebrities have taken things into their own hands to help the federally-funded employees who are not getting paid. Jimmy Kimmel, Nile Rodgers and KISS are just a few of the celebrities who are offering free concerts, services and jobs during the crisis. According to Billboard, more than 800,000 federal employees are not getting paid. The shutdown has lasted for over a month and has become the longest in US history. 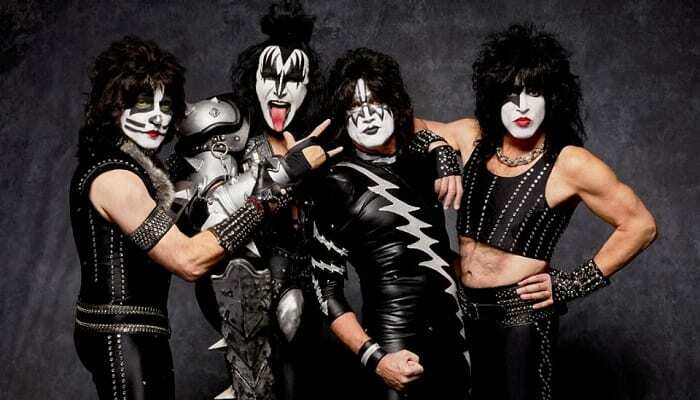 For starters, KISS are giving back to TSA employees. Gene Simmons and Paul Stanley have announced that TSA workers will be able to get a hot meal at Rock & Brews Restaurants in the airports in which they work for free. Jimmy Kimmel also announced that he will be hiring one federal employee every day until the end of the government shutdown. Additionally, disco star, Nile Rodgers has offered 600 free tickets to his concert in Maryland for those currently not getting paid under the shutdown. Federal government employees affected also have opportunities to see Beautiful the Carole King Musical on Broadway for free on select nights, as well as various orchestras and symphonies across the country. According to Billboard, the Seattle, Spokane, Philadelphia, Boston, Akron, Georgia, Hawaii, Des Moines, Omaha, Georgia, Dallas, and Grand Rapids symphonies are all offering free admission. Additionally, many celebrities have simply voiced their opinion about the government shutdown. Just a few days ago, Cardi B spoke out about the federal employees who aren’t getting paid. The rapper additionally shut down right-wing broadcaster Tomi Lahren in a series of tweets. What do you think of these artists and celebrities offering opportunities to federal employees displaced by the government shutdown? Sound off in the comments below.